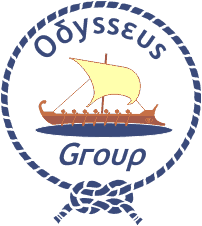 Odysseus Group was set up by the European Region in 1996. It was the idea of Dominique Benard, European Regional Executive at the time. He asked a few interested people to form a small informal group to support the development of Sea Scouting in Europe. Very little money was available to Odysseus, and it was not possible to have more that one meeting per year. The first meeting was in 1996 in Brussels at the Regional Office, and the second meeting was at Eurosea 5, Oslo, Norway in 1997. 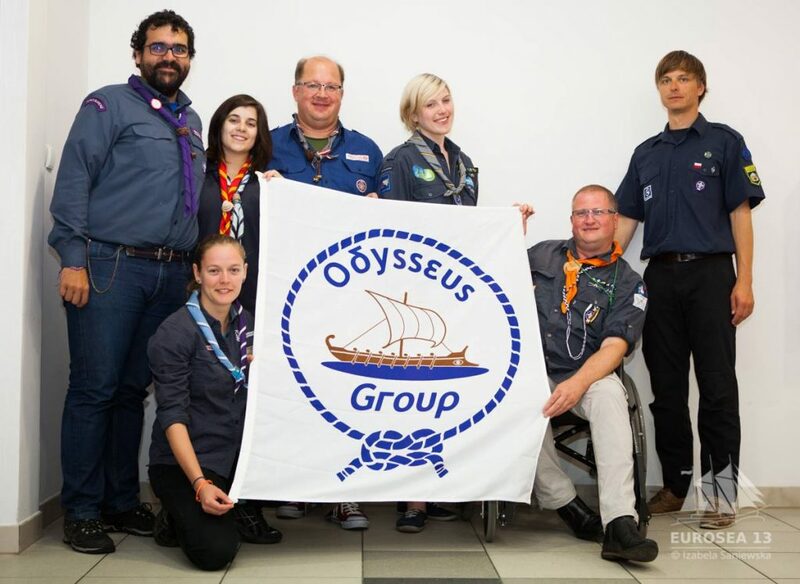 The Polish Scout Association requested help in organizing the program for Eurosea 6 in 2000, and Odysseus Group became the de facto programme committee for that Seminar, and also prepared the first report on Sea Scouting in Europe for presentation at the seminar at Eurosea 6. Odysseus had an informal meeting at Warsaw Airport after Eurosea, and it was under the clear impression that Odysseus would be asked to provide some input into Eurosea 7, as that was generally perceived to be the way that Odysseus might go in the future – acting as a rolling advisory group with a changing membership providing help and advice to the next Eurosea, using lessons learned at previous Euroseas, and at the same time collect and distribute useful information. A picture of safe and happy Scouts on the water. An active, growing Sea Scout section of the Scout movement. Implementing the tasks set by Eurosea meetings. 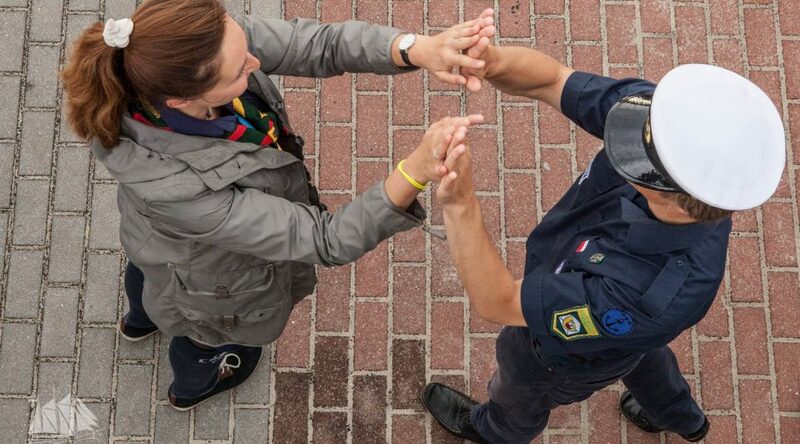 Promoting cooperation among Sea Scouts in Europe. Working to promote safety in water activities. Advising the ESO what to look for in proposed EU laws and directives. To make Sea Scouts more visible at a national and international level. To provide support to European Scout Associations wishing to develop Sea Scouting programs and centers. To promote new program ideas and activities in Sea Scouting that correspond to priorities in the European Scout Region. To support the organization of youth events for Sea Scouts and their participation in environmental projects. Members are chosen at Eurosea seminars and confirmed by ESC. Members serve for one period, can be re-nominated twice or a maximum of 6/9 years, depending on the space between seminars. Special for the first term, half the members are appointed for 2 periods. It is possible to invite new people, either for a special project or to replace someone who is unable to continue to meet the requirements. In the latter case they should be approved at the next Eurosea meeting. Experience at national level in their home association. Overall should represent N S E W Europe. Meetings to have a prearranged agenda with all information circulated in advance. Jobs done by groups using the internet and results sent to all. Possible use of chat rooms for informal meetings. Keeping a log book of our activities and working methods. By reporting to Eurosea meetings with copies to ESO and national associations. (Part of the PR program for visible Sea Scouts and communication). Elections to be held at the end of Eurosea conferences. One vote for each represented country. Host team to provide suitable scrutinizers along with a representative from the ESO. Anyone attending Eurosea as a delegate is eligible for election. Only one candidate per country. Current members can stand for re-election twice. If unable to attend then they should arrange to have their names put forward by some one attending. At the start of a Eurosea conference, after the report on the group’s activities, the election rules should be explained and a call for candidates made, along with a brief job description. Candidates should be encouraged to write their names on a special poster that has been hung in the meeting room. Midnight on the last full evening is the deadline for candidates to put themselves forward. As soon as possible after the election a short meeting should be held to select a chairperson, and form working groups to carryout the wishes of the conference.